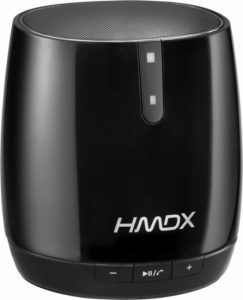 Best Buy has a HMDX - Chill Portable Bluetooth Speaker, $9.99 Free Shipping. Expires Soon - Highly rated at 4.3 out of 5 stars. Connect wirelessly from up to 30' awayPair this speaker with virtually any Bluetooth-enabled device, including phones, tablets and laptops. Throw this portable speaker in your bag and enjoy your tunes while you're at the gym or hanging out with friends. Enjoy hours of music playback on a full charge.